This Saturday, March 21 the San Diego Derby Dolls are hosting an All-Star double-header event at the Dollhouse in downtown San Diego! The first event of the night will be the Juvenile Dollinquents taking on the Junior LA Aftershockers. 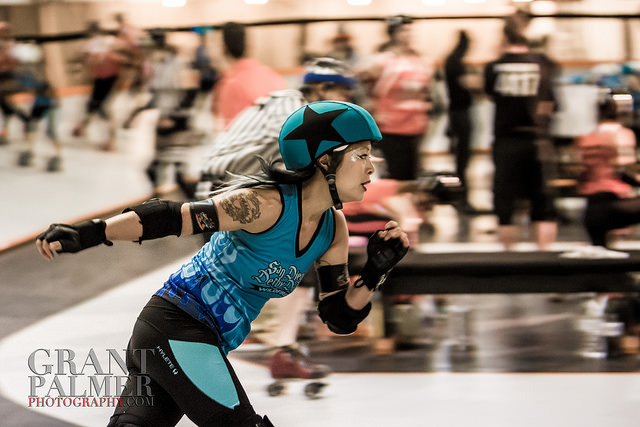 The Dollinquents, captained by seasoned skaters Raggedy Annvil and Ryl’d Up, are the Derby Dolls’ junior All-Star team and a force to be reckoned with. 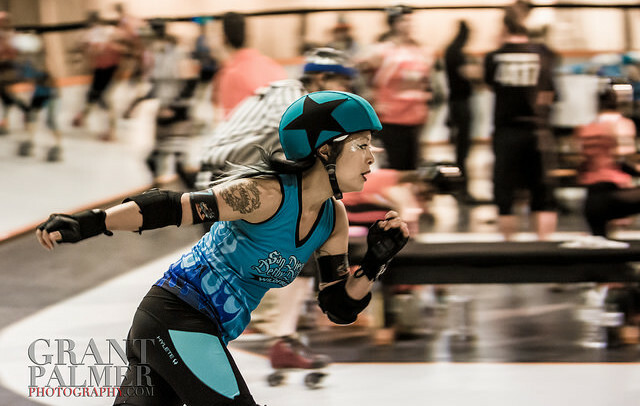 Having played together for years now, the Dollinquents are seasoned skaters with a whole lot of chemistry. We’re ready to watch them blow up the Aftershocks! The main event of the evening will be the Wildfires battling the LA Varsity Brawlers. The Wildfires, captained by veterans Boo LaLa and Brazen Bull, have had a great start to their season with three definitive wins so far against San Diego Roller Derby’s Bandettes, Orange County Roller Girls’ Psycho Ex-Girlfriends and Seattle’s Tilted Thunder Railbirds. The combination of young and veteran talent helps this 2015 Wildfires team blaze through the competition! This may be the first challenging game of the season, though. LA has proven to be a league steeped in talent, with their home teams boasting past All-Stars, current All-Stars and rising stars. Get ready to hold your breath during this death match! Doors open at 4:30 pm on Saturday. The Juvenile Dollinquents vs Aftershockers bout is at 5:00 pm and the Wildfires vs Varsity Brawlers bout is at 7:30 pm. This bout will be held in our private Dollhouse in downtown San Diego, open to only 200 of our closest friends and family. Street parking is free after 6:00 pm. Don’t forget to arrive early to check out the newest apparel at our merch stand and our vendors in our Vendor Village on the flat track under the disco ball! A concession stand will be full of pizza, popcorn, and soda for all your hunger pains. All ages are welcome and there is free admission to children 5 and under!